Jacobs offers an extensive range of program support capabilities within the National Security, Digital Solutions, Infrastructure and Environmental Science domains. 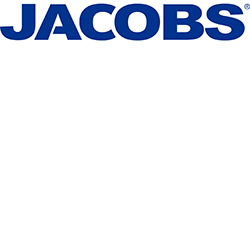 With nearly 20 years supporting the delivery of some of Australia's most complex acquisition and sustainment projects, Jacobs has developed a reputation for commitment to excellence and outstanding achievements in quality, performance, and safety. We consistently deliver value and innovation to technically challenging projects by offering multidisciplinary capabilities, technical expertise, proven processes, and a commitment to regulatory compliance, health, safety, and quality. Jacobs has been providing professional services to the Australian Department of Defence since 1997. Our services include strategic advisory services, capability development, program and project management, acquisition and sustainment support, commercial management, and training development. We are selected as a Major Service Provider within the Capability Acquisition and Sustainment Group (CASG), and are qualified to provide services under all three towers of the Chief Information Officer’s Group (CIOG) ICT Panel Arrangement (ICTPA). Jacobs is a premier provider of national security-grade solutions for mission critical infrastructures, and some of the world’s most sensitive networks and systems. Our teams blend local insight with global expertise to develop digital solutions that improve productivity and the user experience, and provide cyber resilience in a connected world. Our services include Enterprise IT Security Architecture and Engineering, Governance and Policy, Information Audits and Assurance Solutions, Vulnerability Assessments and Penetration Testing, and Industrial Security Solutions (ICS/SCADA). Jacobs has over 3000 employees working in Aerospace and Technology, supporting NASA, other Government users, and industry partners in the United States. By focussing on innovation, collaboration and a best-for-client approach Jacobs has built long-term, trusted relationships with key government and commercial organisations. We have a core staff of over 4000 personnel in Australia, global reachback to a further 74,000 within Jacobs, and existing partnerships with hundreds of suppliers.